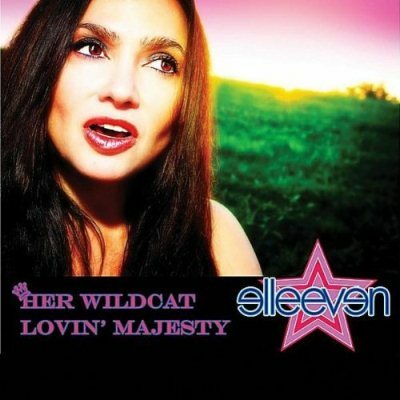 Ellee Ven | Her Wildcat Lovin’ Majesty - TheUrbanMusicScene.com | Music Reviews! For starters, the first track on the album SIGNALS, by far, is the best song Ellee Ven delivered. This ‘Indie-80’s meets Brittney Spears’ style song is somewhat a throw back from the 80’s HEY DAYS of freestyle/dance music legend DEBBI DEB. However, the amateur style lyrics made it too popish. Moving on, the album shows promise for an up and coming rapper, “PRODEJE”. The stand out tracks were NEXT TO YOU, WHAT AM I RUNNING FROM (REMIX), SORRY’S NOT ENOUGH AND LOVIN ME – all of which feature this rap artist. I do have to say his guest appearances are the best parts to these songs. However, the other tracks themselves, from the introduction, have a futuristic feel but suddenly get thrown back into a retro 80’s sound. That, for some tracks, didn’t survive the total playback for review. The grooves throughout the disc, however, reflect the ever growing trend of popish-rock, techno-hip hop sounds. Perfect for that background club scene backdrop or after hours dance floor festivities for those who appreciate that sound. There’s not too much to offer here regarding Ellee Ven. Once again, the positive thing about the project was the artist PRODEJE and that’s saying a lot being that the album is designed & produced for the star singer. Unfortunately the album is mediocre as far as the beats and production-per tracks go & Elleven’s vocal capabilities was often overshadowed by the over-production and lack of lyrical substance on many of them. There was only a very few singles that had some great moments. All I can say about ‘Her Wildcat Lovin Majesty’ is that I hope she realizes her gift as a singer isn’t wasted. It just needs a little more time developing. More time for her career to progress as an artist. Please don’t just take my word on this – check out the CD for yourself music lovers.